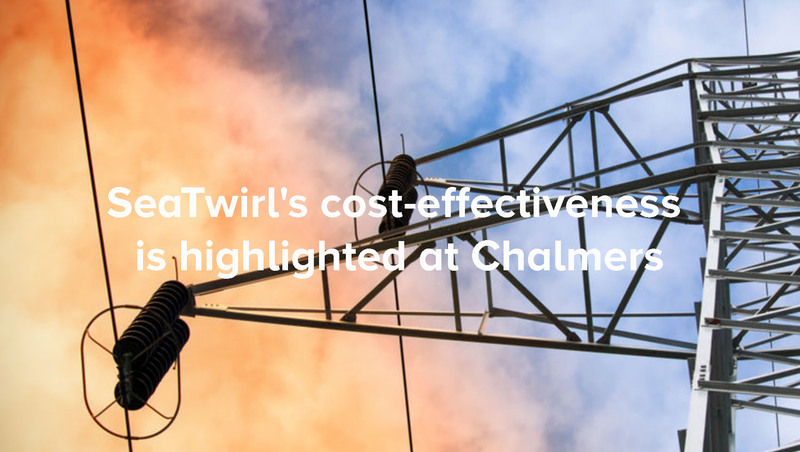 SeaTwirl can help increase the stability of power grids whilst lowering costs by using its inherent inertia, a master thesis at Chalmers University of Technlogy found. The thesis was written by Nour Akel and supervised by Solvina AB, read the thesis here. This will be important when the electricity grid stability is affected by the transition to a more renewable weather-dependent electricity, read more about this at SVK. The thesis studied the issue both from a technical and economical perspective. From a technical perspective, the grids with SeaTwirl installed were found to have significantly better frequency stability and control in a number of grid disturbance simulation studies. From an economical perspective SeaTwirl was found to have a lifetime cost advantage of about $80 000 per installed MW compared with conventional wind power which have to use batteries for synthetic inertia, all other things being equal. The thesis report thus concluded, based on two different estimation methods, that savings over its lifetime of around $1-1,5 million for a 20 MW wind power park were possible due to SeaTwirl using inherent inertia instead of batteries. This while also lowering the risk for a power grid system blackout.